Homing some of the top eye surgeons, Torrance Altantis Eyecare provides an array of treatments for all. From routine eye care to treating complex vision conditions, our surgeons and optical specialists are dedicated to providing you with easy access to the highest standard of eye care available anywhere. We offer a team approach to vision problems including providing among the best cataract surgery Torrance has available. Our surgeons and eye care specialists have decades of experience treating all issues related to eye health and vision correction. Using a team approach, our patients benefit from the combined experience of our professionals which results in each patient receiving eye care which is second to none. Whether you are seeking the finest cataract or LASIK surgery in Torrance, or simply need a routine eye examination, our diverse team can meet your needs. Our Torrance eye doctors routinely deliver top tier care while also regularly contribute to the advancement of their specialties through publishing scholarly articles and presenting at professional conferences. Atlantis Eyecare in Torrance provides each and every patient with access to among the best specialists in eye surgery and vision enhancement available anywhere. Our team approach optimizes the patient’s outcome by accessing decades of combined experience. Delivering over 100,000 procedures is a benchmark of our level of commitment to providing the best possible vision care in Southern California. Our patients receive world class care in a comfortable, safe and caring facility dedicated to their full satisfaction. Cutting edge technology combined with precision surgical techniques Atlantis Eyecare utilizes the latest advances both in eye care technology and in surgical technique to produce life changing results for our patients. Scientific improvements in vision care procedures are constantly being tested and improved. Once they have proved to be both safe and effective, our physicians are among the first to implement the improvements into the total eye care experience. In this way Atlantis Eyecare continues to provide Torrance residents with outstanding eye care including among the best LASIX surgery available. 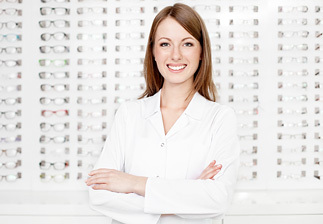 We understand that vision and eye health issues can be very distressing. The treatment team at Atlantis Eyecare is dedicated to providing service in a compassionate and caring manner with the goal of improving quality of life for each and every patient. Patients can expect to receive top tier care for all of their vision and eye health issues from an annual eye exam to delivering among the best glaucoma treatment Torrance can provide. From our newest location in Torrance, to our seven other offices, we are easy to find and ready to be of service to every member of the family. An Atlantis Eyecare Center is able to provide all aspects of eye care including LASIX surgery, cataract treatment and laser vision correction. We also boast an extensive choice of frames for your perfect, digital vision correction prescription. The Atlantis Eyecare team provides world class care covering all specialties in the many related fields of vision restoration and eye health. Using digital technology, patient records are seamlessly shared between all care givers ensuring safe, effective resolution of vision and eye health issues.